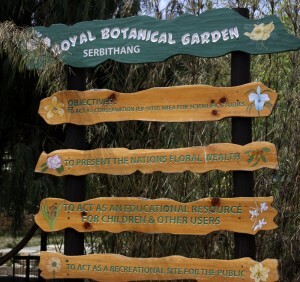 The Royal Botanical Garden, Serbithang (RBGS) was established in May 1999 to commemorate the Silver Jubilee Celebration of His Majesty the Fourth Druk Gyalpo. The main mandate of the garden is to act as an ex situ conservation area for the country’s flora and to educate the public on the value of conservation. The initial establishment of the garden was funded by Bhutan Trust Fund for Environmental Conservation (BTFEC). 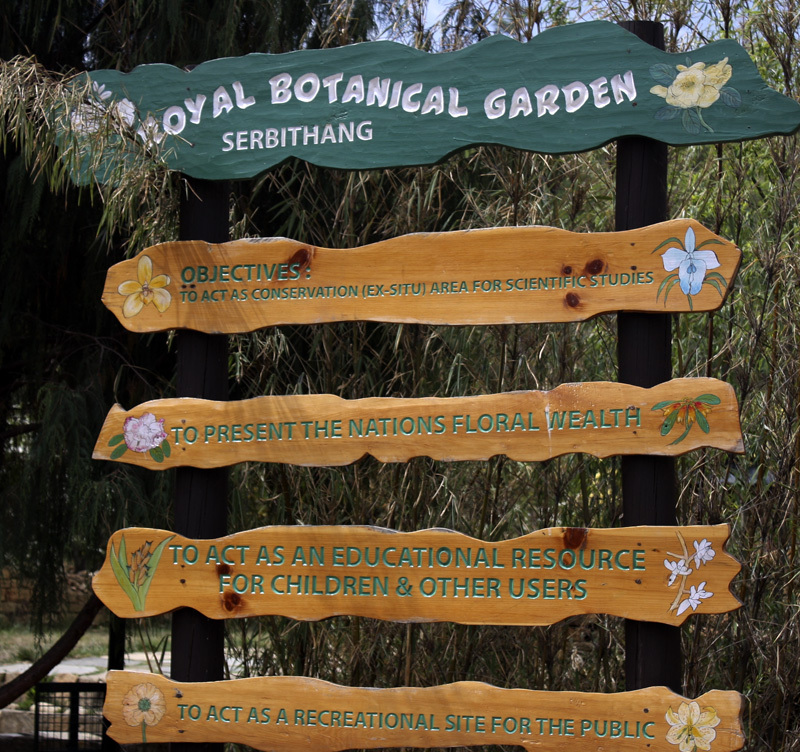 The RBGS with an area spanning over 28 acres is frequented by coordinated educational visits and is a favourite spot for family outings and picnics as well. Serve as a living repository of plant genetic diversity for ex-situ conservation and research. Serve as a rescue centre for rare and threatened floral species and promote restoration. Promote propagation of prioritized native plants species to reduce pressures on collection from the wild and to ensure their sustainable use. Provide facilities and services for plant propagation and environmental education. Promote regional and international linkages for effective conservation and management of native plant species.